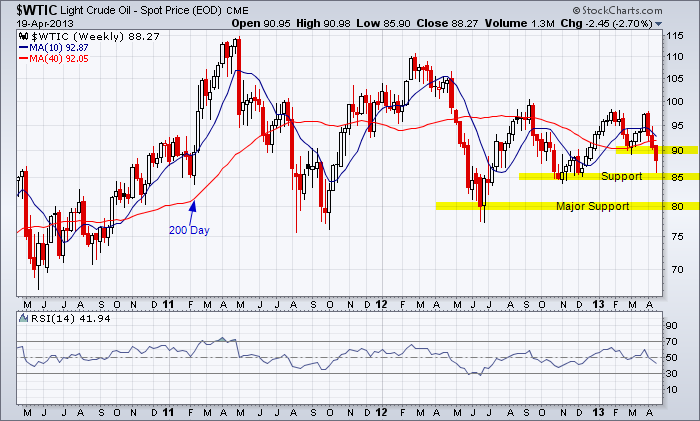 Near-term downtrend for WTIC with support at $85.00 and major support at $80.00. The intermediate trend is sideways. Reference the last chart analysis for WTIC. This entry was posted in Other Topics, U.S. Indexes and tagged candlestick chart, near-term trend, WTIC on April 20, 2013 by Trader.